This year I decided to forgo my usual Lilly Pulitzer Agenda for something a little different. 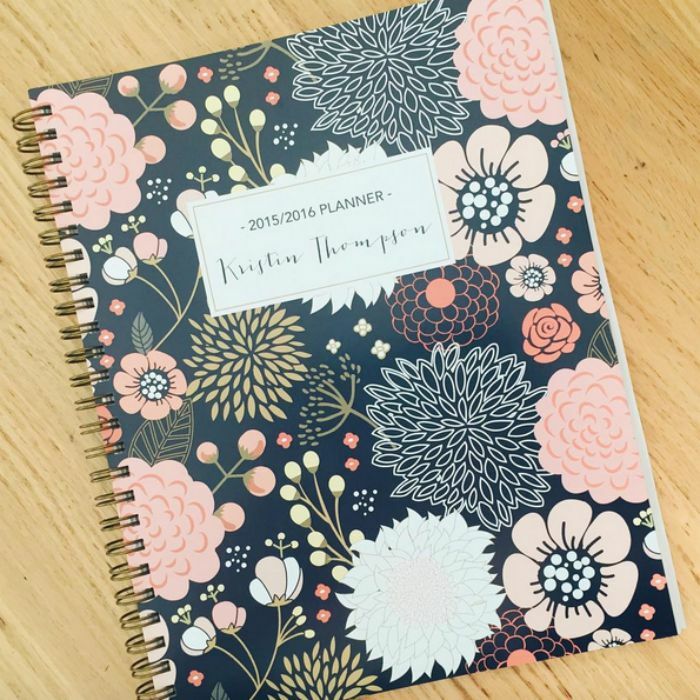 When I found this agenda on Etsy I fell in love with it's feminine floral pattern and pretty colors; I think my favorite part though was the option to customize it and add my name to the cover. Every year I paint a pumpkin and this was last year's design. 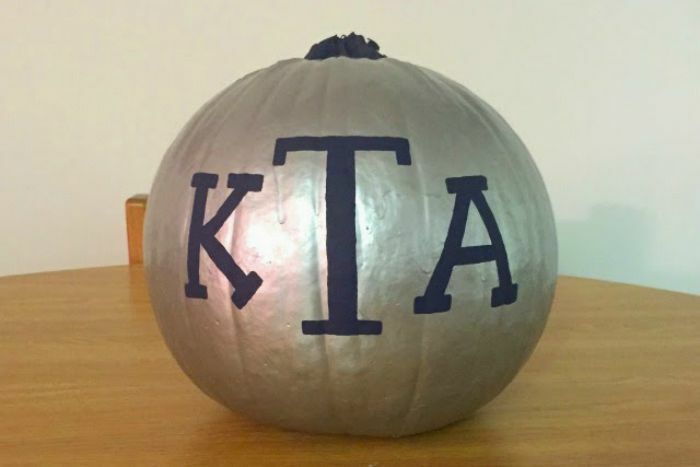 I'm all about monogramming so I figured, why not monogram my pumpkin? This was pretty easy to do and looks very classy. My Mom and I are obsessed with this scent and burn the candles all through the fall and winter. We were both so sad when spring came and our supply ran out, needless to say we are extremely excited to stock up on it again! It will make your whole house smell good enough to eat. While everyone else is sipping their PSLs you'll find me drinking a Chai Tea Latte. While I'm sure a pumpkin spice latte is delicious, I'm allergic to pumpkin and not a fan of coffee so thankfully I have this yummy drink to help keep me warm when the temperatures drop. 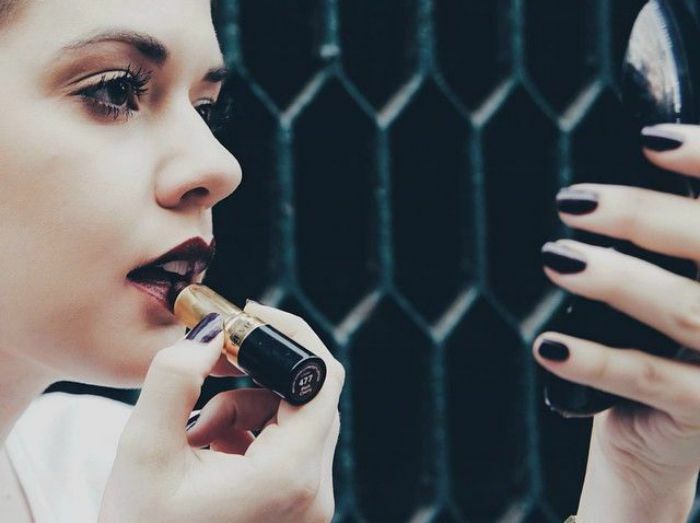 In the fall there is nothing better then a deep, dark, vampy lip and my favorite lipstick to achieve that look is the much loved Revlon Black Cherry. Like I said the other day this is my absolute favorite nail color. 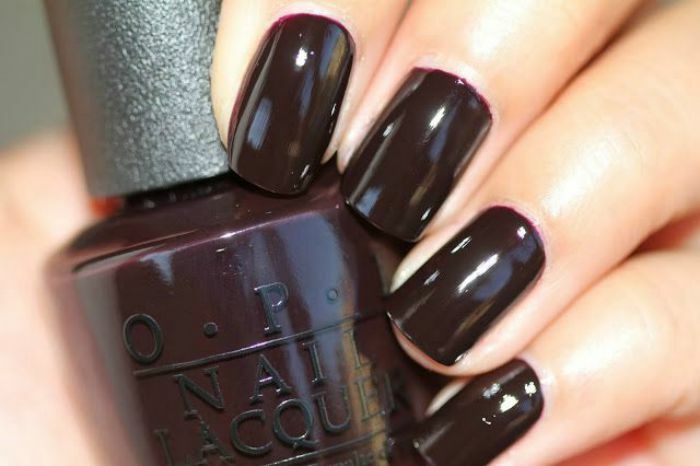 This deep purple color is a classic that always looks super chic and will look great with a dark lip color like the one above. Plaid blanket scarves have been a favorite of mine since last year, I got one for Christmas and wore it all the time because it was so warm and stylish. If you're looking for different ways to style it head over to Pinterest to find endless inspiration. If you want to buy one I love this one, this one, and this one. I have been admiring suede booties for a few seasons now, but just never get around to getting a pair. I think they look adorable with everything from jeans to dresses and all the fashion it girls are rocking them. I think I'm definitely going to have to purchase a pair this year; I love this pair, this pair, and this pair. Oversize sweaters are my go to when it starts to get chilly out. They're so cozy, but somehow look cute and pulled together too. I also love the layering in this look, it's another favorite of mine for fall. I kind of have a minor issue with plaid, I may or may not have three plaid skirts, a plaid belt, plaid ballet flats, and a plaid scarf. 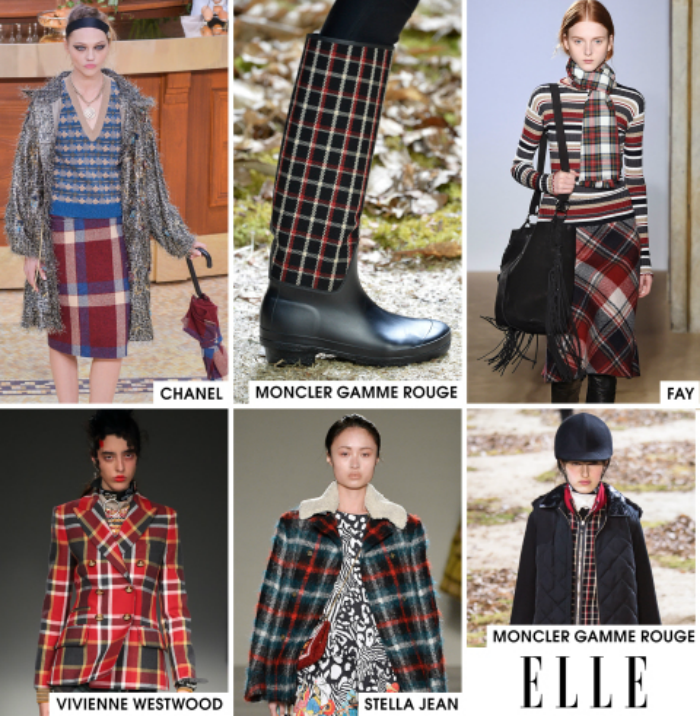 To me it's just the perfect pattern for fall and winter, and it was huge on the runways for Fall 2015. If you don't own any plaid, I suggest starting with a plaid blanket scarf! 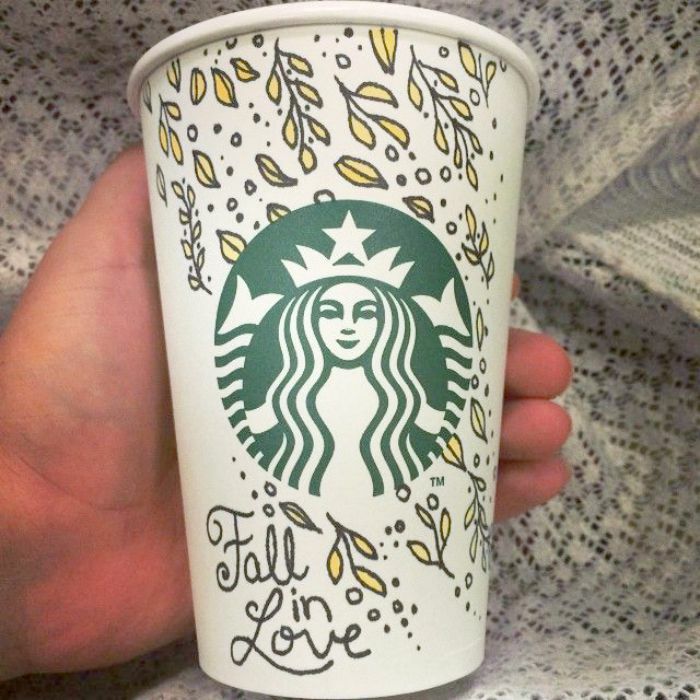 What are your fall favorites this year? I love pretty much everything about this post! I need those boots and that scarf, and the nail polish color is perfect! Happy Friday! Our favourites are really similar!! I have that scarf and LOVE it. Need that nail polish and lipstick in my life asap! 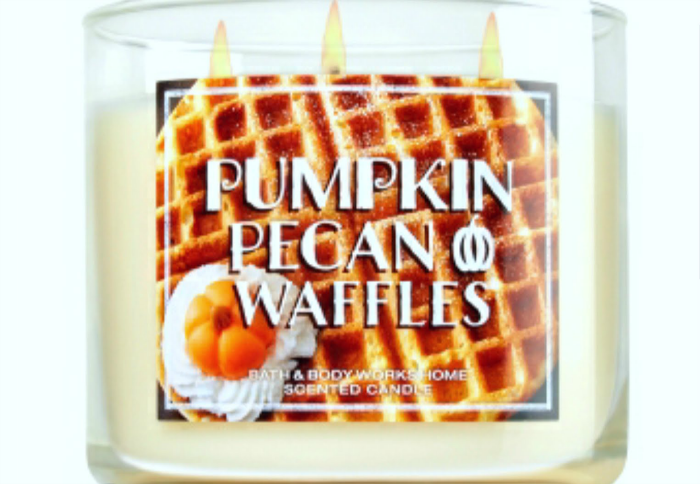 I'm totally heading to B&BW today to scoop up some fall candles. I'm still burning my spring/summer ones currently and that needs to change. Chai is my go-to Starbucks drink, either iced or hot. I absolutely love it in every and all seasons. Also, that planner is super cute, especially for the price! Such a great find! I've been on the hunt for a pair of suede booties so I will have to check out the ones you posted! I'm looking forward to the weather dropping a bit so I can break out my plaid blanket scarf, it is seriously the best! LPAD will ALWAYS be my favorite nail color!! It is timeless :) So happy it is fall so I can start wearing it again! Love that planner.. so cute. 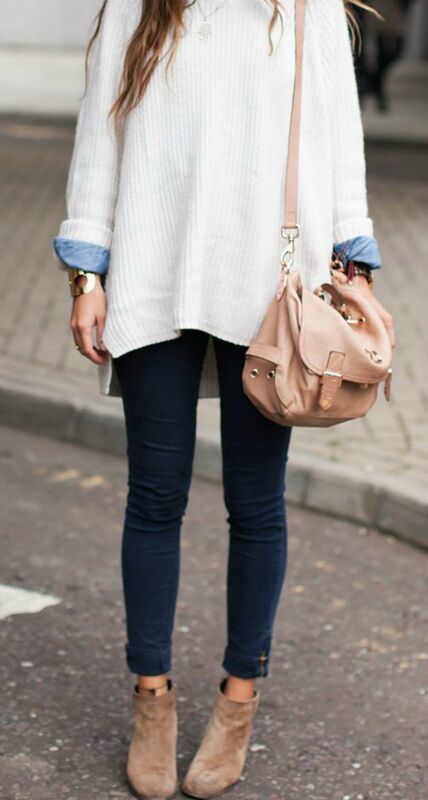 I looove booties and oversized sweaters for fall! That candle looks amazing.. pumpkin is one of my favorite scents. Now I'm craving a chai tea latte too! I just bought a nail polish color really similar to the OPI one, and I'm in love! I'm really feeling dark purple and burgundy this year for some reason, but I'm just going to go with it! Great picks! Totally obsessing over your favorites this week! I absoloutely adore the dark vampy nail color (it's my GO-TO lip color). I also am obsessing over blanket scarves, I don't have one but need one ASAP! I can't get enough plaid!